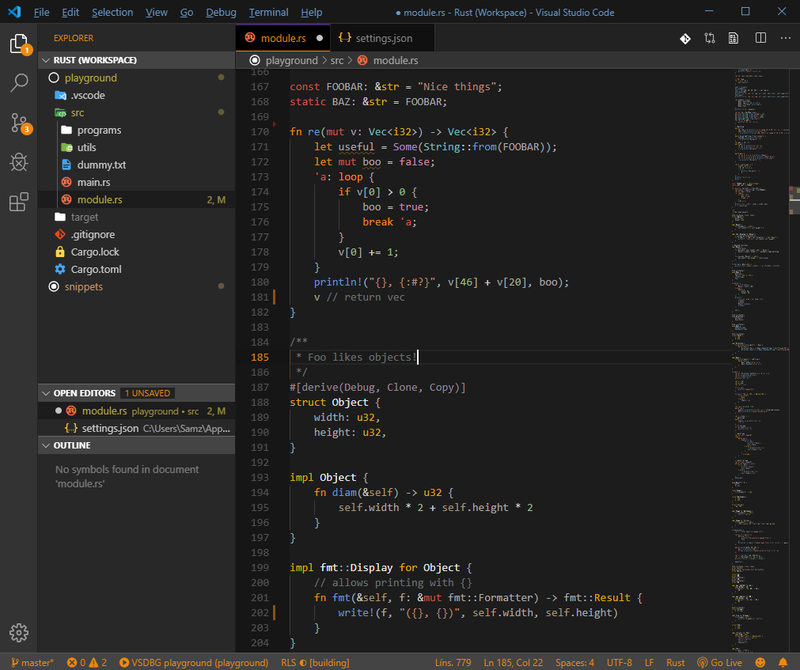 Visual Studio Code>Themes>Darkiota ThemeNew to Visual Studio Code? Get it now. 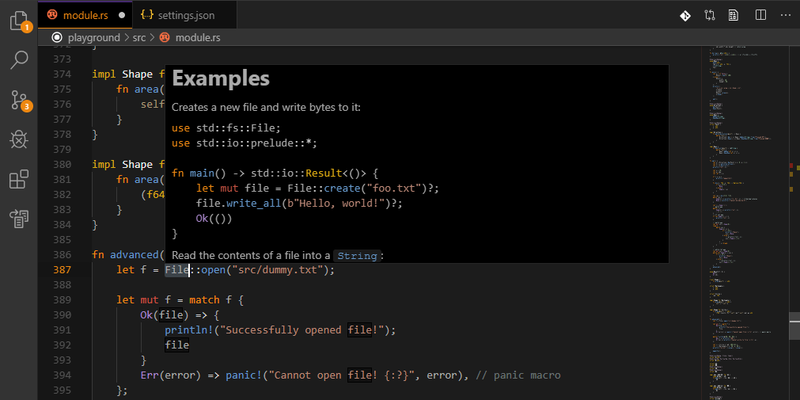 Darkiota is a color theme for vscode. It's a vscode color theme that I have been tuning a bit by bit to fit my likes. A theme that combines ideas and thoughts into something, just can't quite put my finger on it. Nothing is perfect but I think it's getting somewhere. If you give it a go, please consider letting me know what you think. Thoughts for improvements, changes or new ideas, all feedback is welcome! So far, Rust has been my main canvas to paint with colors, but might add specific color tunes for other languages too as the time goes on. Although, on a general level it should be okay with any language, intended look might seems a bit off with some.